What If Things Were MADE IN AMERICA Again? 1977 – November 27. 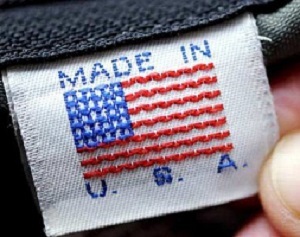 2018 – Jim Stuber joins Beth Ann to talk about bringing back the “Made In America” label. GM cuts back in Ohio, are their priorities mixed up? China still has subsidized shipping (left over from when they were a “developing nation.”) Consumers have a RIGHT TO KNOW where stuff comes from. “The High Cost of a Low Price” – it’s a vicious circle.